Janex Auto Sales > Winter Tires > Winter Tires: Do We Really Need Them? Winter Tires: Do We Really Need Them? It’s this time of year again… and whether we like it or not, winter is just around the corner! We all know what this means – slushy roads, freezing rains, and slippery driveways. The temperatures start dropping and we bundle ourselves in warm winter coats, turn on the fireplace at home… but how do we prepare our vehicles for the winter months ahead? And do we really need to? The answer is YES! And anyone who has spent more than one winter in Canada knows how important it is to have your antifreeze, your window scraper and a pair of extra mittens in the car. But what many forget to take care of are the tires! 1. Winter tires are specifically designed for the winter driving conditions. 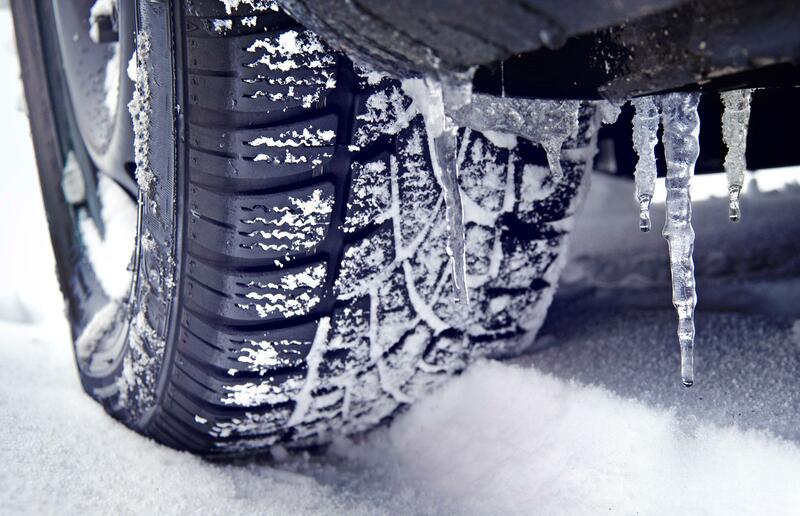 If you have all-season tires, you might be asking yourself: “Are winter tires even necessary? Mine are all-season, so I should be okay, right? !” But the fact of the matter is that their name is misleading. Although all-season tires may be suitable for light weather conditions such as rain and light snowfall, they simply do not perform well enough during our harsh Canadian winters. Therefore, it is crucial to upgrade to winter tires before the first storm of the season hits. 2. Remember to switch out all four tires, not just two. Although switching out only two of your tires may seem like a budget-friendly option, this method has proven to be very inefficient as the four tires cannot work together properly and will not perform optimally on the road. As Transport Canada recommends, all four tires must be switched out for winter ones in order to maintain control and stability of your vehicle during winter driving conditions. And this is regardless of whether you drive an all-wheel drive, a four-wheel drive or a front-wheel drive. 3. The tire thread is very important. Did you know that winter tires had a specifically designed unidirectional thread pattern which pushes away both snow and ice?! In addition to that, they have deeper thread depth than their all-season counterparts, which makes them even more stable. 4. Don’t mix and match. So, it is not only important to swap out all your tires but it is also essential to ensure the thread patterns on all four tires is the same. And while this may seem negligible to you, there is a very good reason for that – winter tires with different thread patterns and internal construction degrades the stability of the vehicle and should be avoided. 5. Remember to check your air pressure regularly. This is an easy one – there is a tire compressor at almost every gas station and it only takes a few minutes to do! Ensuring your winter tires have proper air pressure will extend the thread life, improve your and your family’s safety and decrease the overall fuel consumption. Hopefully now you understand why winter tires are so important. We know how overwhelming and time-consuming tire shopping can be. And we are here to help! With our high quality tires, wholesale pricing, and timely customer service, you will be all set for winter in no time!